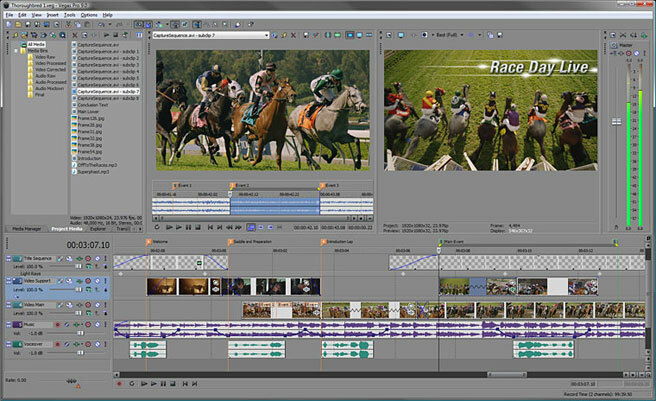 ...... editorial tools, the SONY Vegas Pro 11 collection streamlines your workflow. From acquisition to delivery, from camera to Blu-ray Disc, the SONY Vegas Pro 11 collection delivers exactly what you need to produce outstanding results. Qweas is providing links to SONY Vegas Pro 11.0 Build 594 as a courtesy, and makes no representations regarding SONY Vegas Pro or any other applications or any information related thereto. Any questions, complaints or claims regarding this application SONY Vegas Pro 11.0 Build 594 must be directed to the appropriate software vendor. You may click the publisher link of SONY Vegas Pro on the top of this page to get more details about the vendor.